A teenage health crisis led Surbhi Sarna to found a company aimed at detecting ovarian cancer early. Today Boston Scientific is purchasing the startup firm for up to $275 million. A quest to detect ovarian cancer for other women led Sarna, 32, to found a company, nVision Medical of San Bruno, Calif., to raise $17 million in venture capital, and to gain approval from the Food and Drug Administration to develop a specialized device for detecting ovarian cancer. (The device is not yet for sale.) Now Boston Scientific, the Marlborough, Mass.-based medical device giant, says it will buy nVision for $150 million upfront and another $125 million to be paid if certain clinical and commercial milestones are hit over the next four years. Sarna, who was on Forbes’ 30 Under 30 In Healthcare list in 2014, plans to remain with the company. The market opportunity for the device could be from $500 million to $2 billion annually, says David Pierce, an executive vice president at Boston Scientific and president of the company’s MedSurg division. Some 300,000 women have their ovaries removed each year, he says, mostly because they either have suspicious masses on them or because they carry a version of the BRCA gene that makes them very likely to develop cancer. The nVision device aims to give doctors a way to watch for cancer in these patients. “We’re really excited about this acquisition,” Pierce says. “The diagnosis of ovarian cancer is a massive unmet need in this space.” The deal could be accretive to Boston Scientific’s earnings as soon as 2020. Sarna is the daughter of Indian immigrants. Her mother, a Ph.D. in Hindu literature, stayed home to raise her children. Her father, an engineer, worked at a series of startups. She founded nVision straight out of college in 2009, continuing to work day jobs in the medical device industry. She had few connections, and often met with deaf ears. “I’ve been in several boardrooms with all male VCs who are like, ‘Oh. This is a women’s issue,” she says. After a year and a half, she managed to raise $250,000. 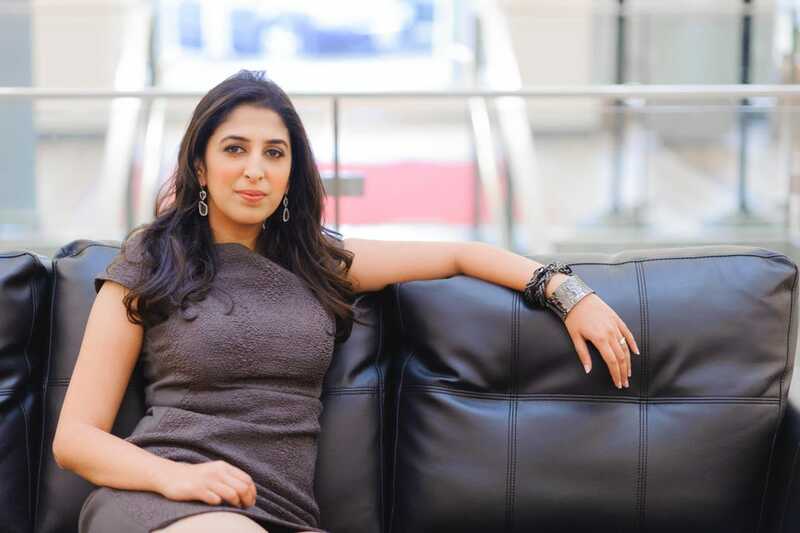 Her biggest backer was Darshana Zaveri, a woman who was a partner at Catalyst Health Ventures. Sarna hired an engineer named David Snow, who had been her boss at her last medical device job. Together they faced a huge engineering challenge. They needed to collect cells from the Fallopian tubes, which lead from the ovaries to the uterus. But these tubes, Sarna says, are a millimeter wide, between four and 12 centimeters long, and have, in he words, “the consistency of wet paper towel.” Trying to push a catheter through them would risk damaging that delicate tissue. Their solution? A balloon, which would follow the path up the Fallopian tube as it inflated, and would collect the cells on its surface. NVision conducted an initial 40-woman study to see if it could get the balloon into the Fallopian tube, and a second 40-woman study to prove that it could enter the full length of the tube and collect cells. A third study of woman who were having their ovaries removed compared the results of looking at the cells with the pathology reports on the ovaries to see if it could detect cancer. The results have not been published, but Sarna and Pierce both say that the test had high sensitivity and specificity. Contractually, the outside doctors who conducted the researchers have the right to be the first to release the results. Last summer potential acquirers started expressing interest in the company. Sarna says she was in no hurry. Half her series B had not been spent, and Arboretum had set aside cash for another investment round. Boston Scientific was one potential buyer. But the meetings went so well that, at one point in negotiations, Sarna told a Boston Scientific executive: “Hey. My team really likes your team.” She says she was thrilled that Boston is the company acquiring he. Thursday, two members of the Boston Scientific team flew across the country to take her to dinner at Octavia, an award-winning San Francisco Restaurant, where they at steak and deviled eggs and talked for six hours. Her husband, an entrepreneur whose startup recently raised $60 million, was baffled that anyone could talk about work for so long. The challenge will be convincing women and their doctors that it really is safe to watch for cancer using nVision’s test. Boston Scientific plans a larger, 120-patient study. But Sarna says that women are already in a position of waiting and watching, and choosing to balance the health costs of removing their ovaries and going into early menopause and sacrificing some of their childbearing years with the risk of cancer. She says she wants to give them a better option than existing diagnostics, which she scoffs are no better than flipping a coin.